The RHS Chelsea Flower Show never fails to make headlines around the world. A catwalk of colour and creativity, the show features the latest trends and ultimate design from the cream of garden designers, nurseries, plantsmen and exhibitors. This tour is for afternoon entry only. Access to the show is available from 3.30pm to 8.00pm. The coach will aim to arrive in good time for 3.30 entry (subject to conditions on the day) and depart again at 8pm. The news was announced ahead of a visit by The Duchess to King Henrys Walk Garden in Islington, an RHS Its Your Neighbourhood group, part of the RHS Britain in Bloom campaign, to meet the community gardeners on Tuesday 15 January. The RHS Back to Nature Garden is a woodland setting for families and communities, and encourages all generations, from all backgrounds, to connect with nature and enjoy growing plants for their health and wellbeing. Something core to the RHSs charitable work. 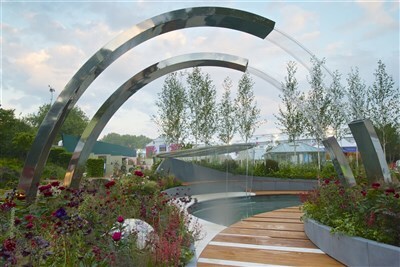 Sue Biggs, RHS Director General, said: We could not be more thrilled, or feel more honoured, that The Duchess of Cambridge has co-designed our RHS Gardenat Chelsea Flower Show this year, with Award Winning Landscape Architects, Andree Davies and Adam White. The RHS Back to Nature Garden is key to the RHSs partnership with NHS England, promoting the physical and emotional well-being that access to green spaces and gardening provides. After RHS Chelsea, much of the planting and some of the landscaping will go to an NHS Mental Health Trust, as part of a national competition run by the RHS. Continuing the collaboration and to engage even wider audiences, The Duchess of Cambridge and Davies White will be co-designing two further RHS Gardens, maintaining many of elements from the Garden at Chelsea, at RHS Hampton Court Palace Garden Festival (2 July  7 July 2019) and RHS Garden Wisley in Surrey, which will open in the Autumn later this year. Route A & B see tab for list.